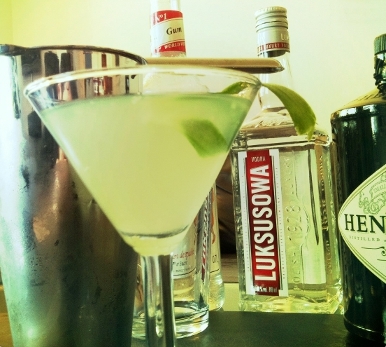 This is a light and refreshing martini – perfect for a sunny spring or summer’s day. The cucumber is a natural partner to the Hendricks gin; whilst the vodka adds some weight as well as providing an extra little kick. 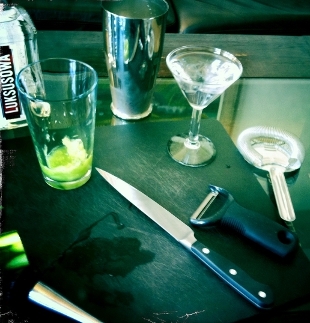 Once you have laid out all your ingredients, chill the martini glass by adding ice and water it. Peel and cut about 5cm worth of cucumber into batons. Put the batons into the Boston glass (the cocktail shaker). 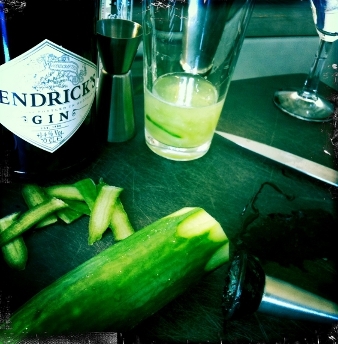 With your muddler (if you don’t have one use a rolling pin) crush the cucumber. 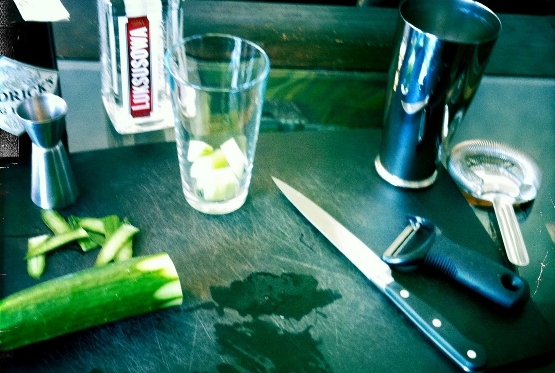 Once you have finished muddling the cucumber, add in a shot of gin, a shot of vodka, and half a shot of sugar syrup. 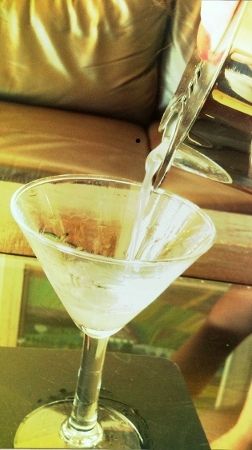 Empty your now cold martini glass, and give it a quick shake to get rid of any leftover water. Add ice to your boston shaker, close it and shake. Shake, strain and pour into the empty, chilled martini glass. 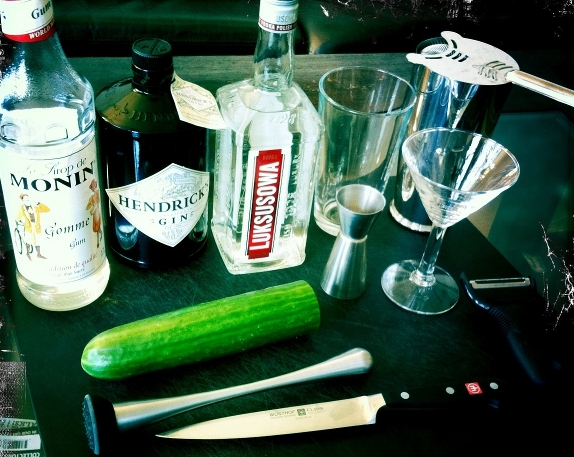 Add a twist of cucumber skin, and enjoy your Cucumber Martini!